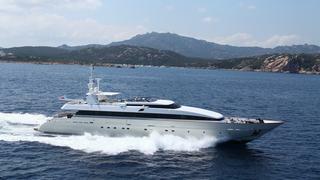 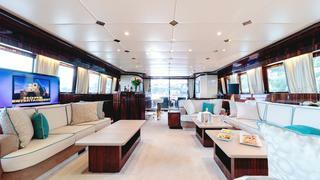 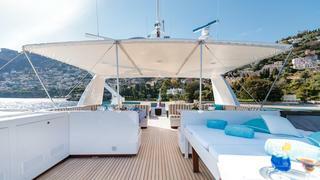 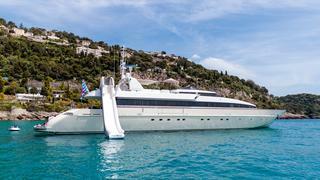 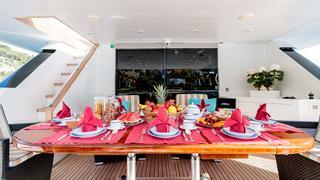 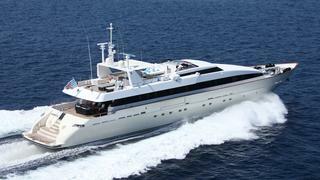 HEMILEA was entirely refurbished from floor to ceiling in 2014, leaving the yacht refreshed. 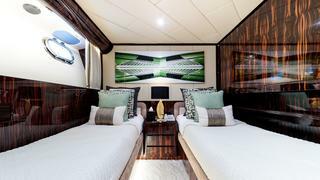 Light coloured materials with splashes of aquamarine cushions cleverly placed determine the entertainment-thirsty saloon and dining area, with an interesting choice of artwork. 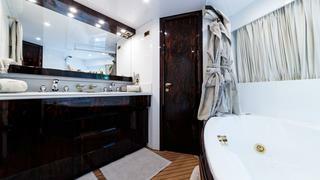 HEMILEA sleeps a total of 12 guests in 6 very nicely appointed stateroom. 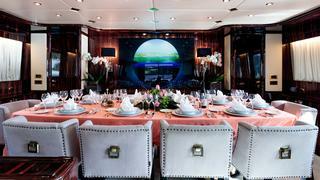 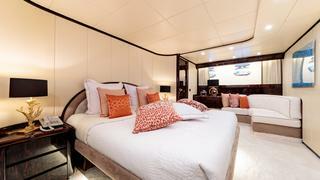 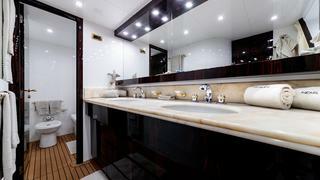 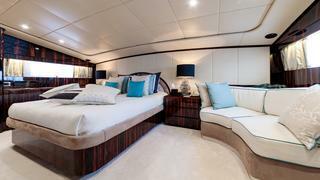 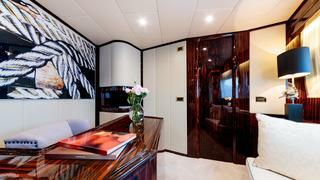 The master stateroom on main deck en-suite also boasts a separate owner’s office. 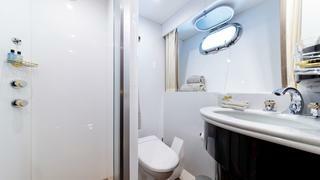 The VIP stateroom is a great size and can double as a second master stateroom, with a nice en-suite bathroom and walk in dressing room. 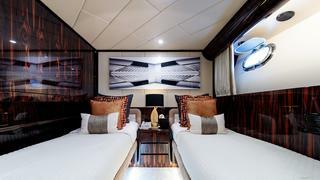 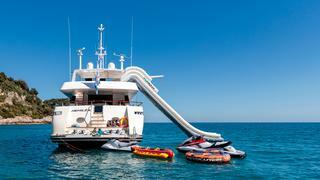 Two further double staterooms and two twin staterooms with two pullmans offer guests a variety of comfortable options, fabulous for family charters with lots of children.